An evil and cruel plot involving small children. Alien animals such as the spider-like rat-snake or camel-like drom. Levitating cars. A secret underground rebellion. All these combine to make an intriguing science fiction world. Add in mystery, adventure, romance and action and Tankborn has it all. Kayla 6982 is a GEN or Genetically Engineered Non-human who was created in a tank. She is the lowest level of the tightly controlled, rigidly stratified society on the planet Loka settled by survivors of a ravaged Earth. She grew up with an unrelated “nurture mother” and has no control over where she lives, her education, job, or life. She can be electrically reset (similar to being lobotomized) for the smallest infraction. Despite her lowly status Kayla is happy living in the Chadi tenements with Tala, her kind but stern nurture mother and her mischievous nurture brother, Jal. But she knows her time there is short, because at the age of fifteen she will receive her Assignment which will determine her future work. Her best friend, Mishalla, has already been Assigned and they may never see each other again as GENs are not allowed to contact each other after they are Assigned. Kayla’s sket (skill set or genetically modified ability) is great arm strength, so she expects to be Assigned to manual labor. To her surprise, Kayla is Assigned to assist an elderly high-status man, Zul. Before long, she learns that things are not what they seem. Kayla is strongly attracted to Zul’s great-grandson, handsome Devak, although she knows that romance between them is forbidden. The highborn family hide many secrets and Kayla must rethink her world and unlock the secrets because she, Mishalla, Devak, Zul and dozens of innocent children are in grave danger. Tankborn is a complete story in itself but Kayla’s story is continued in the trilogy of Awakening (2013) and Rebellion (2014). Try Tankborn if you like well-imagined dystopias featuring young protagonists like The Hunger Games or Divergent. Check the WRL catalog for Tankborn. Today’s post is written by Tabor. Shift, written by Hugh Howey, is the prequel to the dystopian novel Wool and recounts the events that created the Silos or the housing that mankind inhabits after a nuclear fallout. It follows the alternating narratives of Donald, a congressman in the 2050s and Troy, a worker from Silo 1 in the 2110s. Donald Keene is a young congressman who has been tasked to design a “just in case” building by Senator Thurman because of his degree in architecture. Along with this proposition, Donald’s past is dredged up when his ex-girlfriend from college is also assigned to the project. During the course of his chapters, Donald struggles with his marriage, his old flame, and the mysterious nature of the project he has been assigned. In the future, Troy, who works in the same building that Donald designed, is attempting to find out the purpose of the Silos while avoiding authoritative superiors. This is the foundation for the story that unravels until it reaches the time frame of Wool and imparts the notion that mankind should not attempt to prolong their mortality. Along for the journey is another new character named Mission Jones, whose narrative burdens the reader with an idea of the deception that takes place in the Silos. Other characters that the reader knows also appear, such as Jimmy “Solo” Parker, whose origins are explored, and Juliette, who makes a brief but important appearance in the tale. Even though this story takes place in a world which is alien to our own, it remains accessible through the characters that inhabit it. Along with creating an original world, Howey is also able to construct the challenges and complexities that come along in this world with a flare of empathy. He is able to create characters that are relatable, undeterred by the fact that they exist centuries after us and face entirely different obstacles than our own present ones. This book is not a sterile and uninviting dystopian novel; though the book offers bleak circumstances, it is the characters who bring warmth to the story. Ultimately, the characters allow the reader to hope that the outcome will not be desolate with their desire to discover the truth and uncover the reason for the existence of the Silos. In order for a reader to start this particular book, they only need to understand that this is a continuing story and finally that it is dystopian. The only issue with Shift, which is previously encountered with its predecessor, is the inability to give a synopsis without inevitably spoiling the plot and events of the novel. Simply, Wool created the equation whereas Shift exposes the “why” factor of the equation, but what these characters do with this information has yet to be answered. 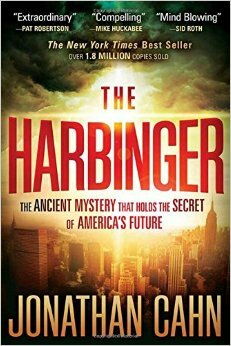 It is a masterfully done book that peels away at the surface slowly until the very end of the story. Even then, the core element of the story is not revealed and encourages the reader to continue the journey along with the characters. Check the WRL catalog for Shift. If you like writers as diverse as Joseph Heller, Neal Stephenson, Douglas Adams, Kurt Vonnegut, or Charles Dickens, you’ll want to run to the novels of John le Carre’s son, Nick Harkaway. I can get away with that much name dropping in one sentence because Harkaway is that good. 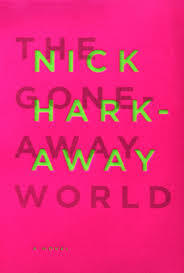 His first novel, The Gone-Away World, takes place in a near future after some kind of event has left only a narrow band of land habitable, protected by the mysterious chemicals from a pipeline. In Harkaway’s tour de force first chapter, we discover that this pipeline has been breached and the refinery that fills it is aflame. A misfit crew of mercenaries, including the unnamed narrator and his lifelong friend Gonzo Lubitsch, is asked by a powerful bureaucrat to fix the problem. After that, the story alternates between exploring the narrator’s adventures in the present and the past. Slowly, we discover the twisty story of how the world came to an end, how the narrator was rendered unreal, and how he attempts to recover his life. This plot is impossible to condense, but the astonishing thing is that although this story is halfway in fantasy, halfway in reality, half serious and half parody, and loaded with characters like pirates, ninjas, and mimes, in the end it all makes a perfectly bizarre kind of sense. There are plot twists you won’t see coming in a million years, enough eccentrics to populate a small country, and enough madcap but spot-on social observations to make every page an adventure. This is a dense read. Expect a challenge. But whether you enjoy science fiction, literary fiction, or humor, I think you’ll find it truly rewarding, a book that’s worth the effort for vivid style, biting social commentary, audacious metaphors, and imaginative world building. Don’t expect a standard post-apocalyptic dystopia, expect a weird, bumpy ride through a surreal landscape. Strap in and enjoy! At the opening of this postapocalyptic novel, Sheriff Holston is walking up a spiral staircase to his death. For generations, his community has lived and died on the 144 levels of an underground silo, and Holston has just committed a capital crime—asking to go outside. Technically, it’s a suicide. Everyone knows the outside world is a toxic wasteland. Three years ago, on the big-screen monitors that show the surrounding desolation, Holston watched his wife die out there, and now he’s going to join her. Just like all the others who have been pushed out the airlock, he’s given a protective suit. It lasts just long enough for the condemned to do some silo cleaning and maintenance—for one thing, scrubbing the grimy outdoor camera lenses so that folks inside have a nice, unblurred view of your death. Now, why the condemned should care what’s shown on the big screens…that’s what Holston is about to find out. My brother, who hasn’t read a book in dead-tree format since the invention of the smartphone, insisted that I read Wool, and read it immediately, sending it from his app to my app with a tap and a swipe. In a nutshell, that’s the success story of Wool. At the time author Howey first self-published the story direct to Kindle, Holston’s atmospheric, claustrophobic story was all there was to the Silo universe. But as word-of-mouth reviews drew more and more readers, Howey began to elaborate. In later, serial-style installments, the search for a new sheriff takes the silo’s mayor and deputy down through the floors of the silo, through hydroponics and the nursery and IT to the mechanical levels. As they descend, readers learn more about how this society works, and doesn’t work, stratified both literally and by an inflexible class structure. With the appointment of a hardworking mechanic, Juliette, as the new sheriff, a longer story arc begins. An outsider from the bottom levels, Juliette shakes up the power struggles of the upper floors. She’s a character that readers rally behind, as she learns more about the factions governing the silo, especially on the IT level, which controls what’s left of the silo’s forgotten history on its closely-guarded servers. The original, novella-length Kindle releases have been collected in omnibus print editions, starting with Wool and continuing with Shift and Dust. It’s a little bit old-school Twilight Zone, a little bit Shirley Jackson, a little bit Lost, without quite so many characters. With a compelling storyline and characters who you can root for, Wool should appeal to teens as well, and it fits right in with the current YA mania for dystopias. Plus you can get in on the ground floor—see what I did there?—before the inevitable movie. Check the WRL catalog for Wool.